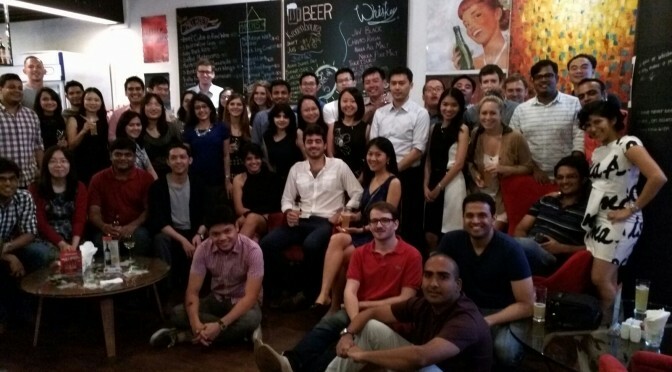 On November the 14th 2015, the NUS-NBS Mixer, a social event for Singapore´s MBS students, took place in downtown Singapore. 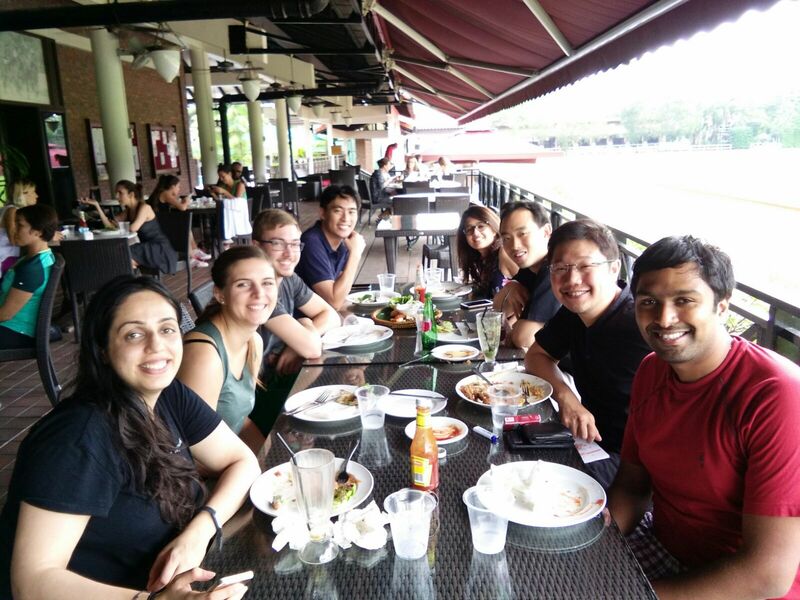 In order to facilitate inter-school networking, Deep Dabholkar, the President of the student Executive Committee at Nanyang Business School liaised with Sean McNulty, President of the National University of Singapore student body. The two school representatives met over a coffee at Holland Village along with a few members of their respective student groups and organized one of the most highly attended events of the semester. With twenty two students from Nanyang Business School (including part time students) and over 28 from the National University of Singapore, the NBS Bistro at Marina Square was booked and catering was ordered for the event. event catering – a truly delicious feast! A vibrant event with multiple games such as darts, billiards and some exciting foosball matches, students from both schools wasted no time in getting comfortable and “networking” with each other. By the end of the evening, a strong bond had been formed between the attending students that would laid the platform for great friendships. The success of this event promises to lead to many more such inter-school activities, both on and off the field, that will foster better relations among the schools and the student cohorts. I cannot count how many times I have read the word “moor noissucsid” over the past few weeks. It sounds like a mystic secret language from The Lord of the Ringsdoesn’t it? But it is just plain English for discussion room. Sadly, I spend so much time inside the study rooms that I often find myself reading the label on the glass door backwards when I happen to stare at the one door that separates me from the outside world. I had two days to go until the Christmas break and to my despair the list of assignments to finish was much longer than my shopping list. Most days the two best friends of any MBA student, laptop and extra large coffee mug, share the peaceful quiet of the discussion room with me. From time to time, the door opens and the head of one of my fellow students appears. We are all in this together, and the many sharing sessions or quick bouncing back and forth of ideas between doors were worth the long hours spent in a dimly lit study hall. Joining an MBA programme and relocating to Singapore has changed my life. Back home in Germany, I grouchily complained about the penetrating cold outside and lamented the ruthless heating of indoor facilities. Now, I start sweating as soon as I step outside but shock-freeze when I enter a building. The temperatures across campus are adjusted to facilitate optimal brain activity. It turns out that my body and brain have very different requirements in terms of climate, and while my head is working at high speed, the rest of me goes into shock mode. Not only have my MBA studies affected the way I dress (I wear long pants and a scarf at 30C outdoor temperature), but I also changed my sleeping patterns, eating habits and exercise schedule. The challenges of juggling classwork, assignments, workshops, career talks, a symposium here and a lecture there will quickly transform even the most efficient of all multitaskers into a restless jitterbug. 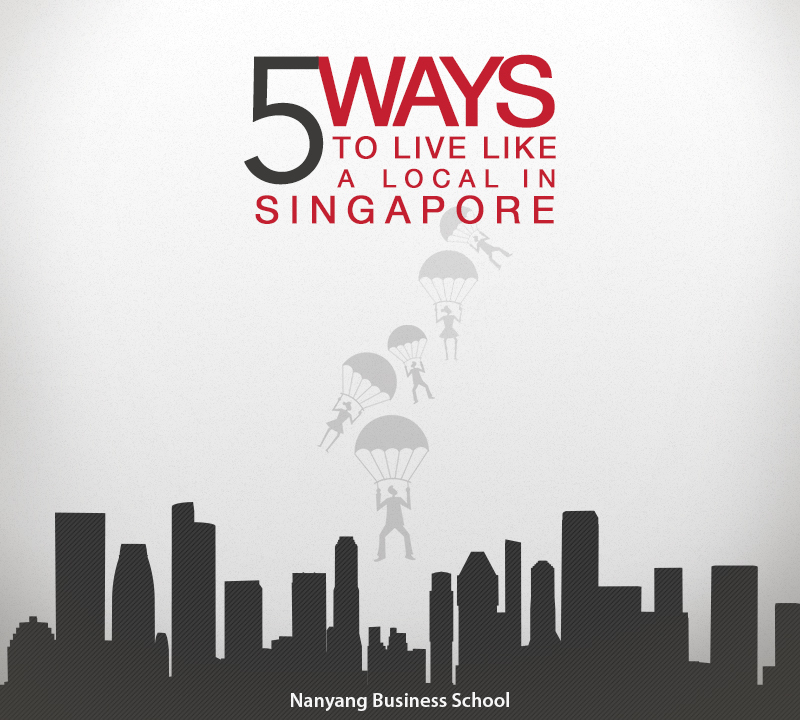 Singapore is a great place for the ambitious, the disciplined and the determined. The vibe of the city will teach you to always keep an eye on the goal and to keep an eye on the competition while walking towards that goal. In a city where everything works, public transport runs smoothly, no escalator ever breaks, and even the pizza delivery company keeps its “30 minute” promise when ordering to a remote university campus, you cannot but drop your jar and decide to work harder yourself. The pizza man just shrugs his shoulders, utterly unimpressed. German by birth, I strive for efficiency, value speed and reliability, and I definitely appreciate punctuality. Now I share a city with textbook workaholics, and I wonder if I ever even properly understood the definition of punctuality. For the first time, it is possible that I am last to show up for an appointment. My homework might receive a “nice, but more thorough analysis required”. And I am still baffled that I have not ever waited for a delayed train. What bewildered me at first, makes total sense to me these days. Singapore is impatient. An austere yet friendly nation that is poised for further growth. 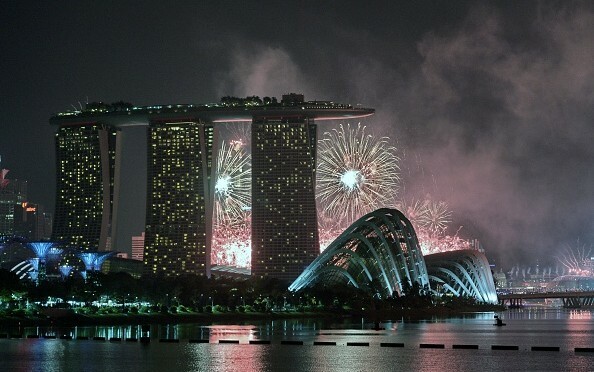 Uniting tradition and modernity, Singapore demands an increasing share of the world’s attention. In the middle of this place that looks like Disneyland but works like the “good elves”: my business school. A school that might cool down the body, but successfully heats up a student’s mind. A school that will go above and beyond to prepare its graduates to wander on the path of growth, personally and professionally. Even if that means they live in the moor noissucsid. Having reached the halfway mark of my MBA journey, I have already discovered that it will not be enough to just be prepared to reach my goals. Here in Singapore, goals are stretched and limits pushed. The MBA programme at the Nanyang Business School is rigorous. Academics are just one of your many priorities here. Classes, case studies, team projects and homework are just one part of the whole experience because the B-school aims to create future leaders who’ll maintain a work-life balance successfully. During your time here, you’ll have ample options for housing, social activities and business competitions. 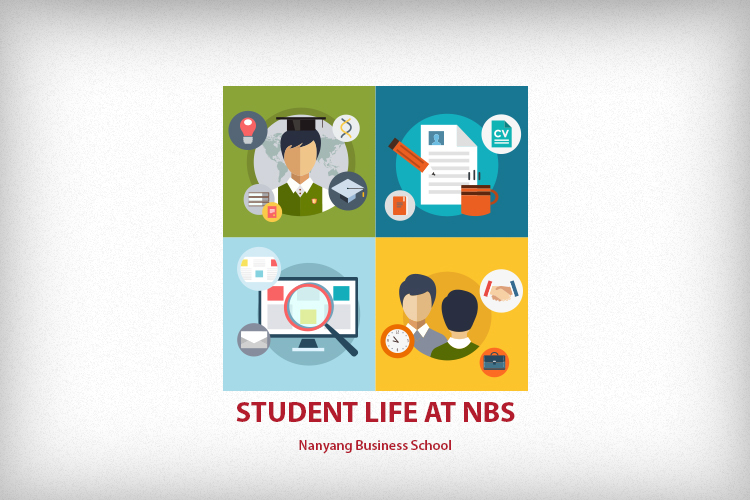 Here’s how you can step into the vibrant student life at NBS. On-campus housing is available only to full-time graduate students. Graduate Hall 1, Graduate Hall 2, Crescent Hall & Pioneer Hall offer rooms with a single bed, a wardrobe, a desk, an attached bathroom, fan, air-conditioning and an internet connection. Keep your eyes on the notice boards in case something opens up later. If you’re looking for accommodation off-campus, take a look at the Off-Campus Accommodation System (OCAS), which is open to students registered with NTU. The best route to take would be to book an on campus option, settle down and then look for a place off campus with less stress. The Nanyang MBA Student Executive Council or Student ExCo takes on the responsibility of making every student’s time at NBS a lively one. The MBA students hold annual elections to elect its council members. Candidates are usually given a minute to make a speech that can let the others decide if they’re worth their votes. So that’s a position you may want to vie for as well. Student clubs on campus include those focused on particular industries, sports and cultures. Meet the current council members here. A healthy mind and body are vital to performing well in your MBA programme. If you don’t feel good inside, your work will be affected. But, with so much going on campus, you will find yourself exercising, meeting people and getting lots of fresh air too! In the past, events have included a prison run, kayaking on a nearby island and other outdoor sports that bring you closer to your classmates as well. And since life can’t be complete without doing your bit for the less privileged, the student council organises charitable activities like trips to children’s homes and hospitals. The MBA Olympics is a volunteer interscholastic sporting event that NBS participates in every year along with Singapore’s other B-schools. It is a friendly competition that aims to raise awareness for a specific cause and collects donations for charity by promotion corporate social responsibility in business. You’ll get to play badminton, basketball and other sports and make a difference in some people’s lives. Sounds interesting? Take a look here. What you learn in the classroom needs to be applied outside of it. NBS’ MBA students are regular participants in international business case competitions where they compete against students from B-schools based in the United States, Canada, Germany and so on. These events are a great place to see how academic concepts work in the industry while you interact with fellow MBA candidates who can add to your global perspective of the way things are done in business. In 2015, Nanyang MBA also hosted several case competitions such as Venture Capital Investment Competition (VCIC) and Amalgamation 2015. So you can stay comfortable, safe and active. 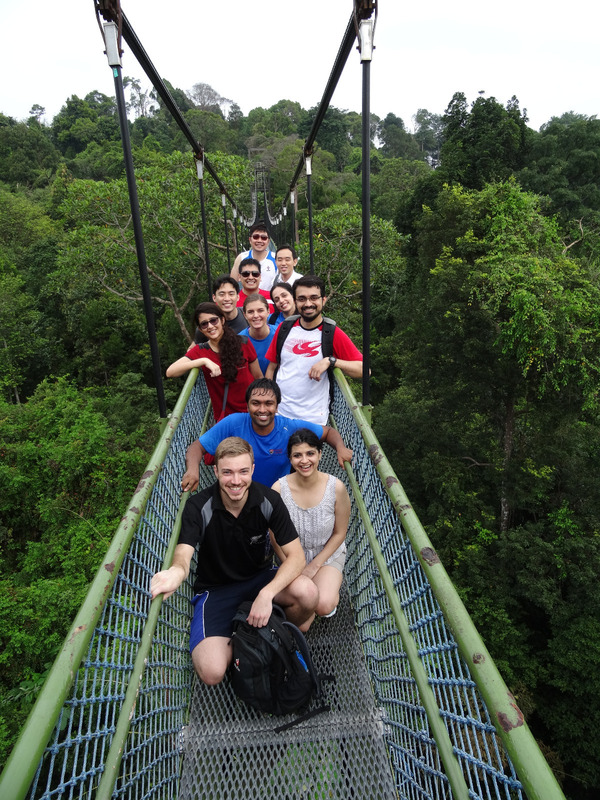 The Nanyang MBA office works in collaboration with the Student ExCo to ensure that every MBA student walks home with a degree and lots of valuable experiences that add up to make a journey full of learning. A metropolitan city-state known for its towering skyscrapers and cosmopolitan culture, Singapore is an amazing place to live and explore. Ranked as Asia’s most liveable city and the world’s third best, it is one of the safest in the world. Being a global financial centre, with a consistently stable government, and a burgeoning technology hub, the city is a much sought after educational destination for international students. If you are a student living in Singapore, or someone who is considering the idea of pursuing your studies there, then here are a few ways that you can soak in the Singaporean lifestyle and experience the city like a local. You haven’t lived the true Singaporean life, if you haven’t been on a commute in the city’s popular subway, also known as the Mass Rapid Transit (MRT). Spanning 152.9 kilometres and connecting more than 113 stations, the Singapore MRT is the fastest, easiest and the safest way to get around the city. While there are always taxis to cater to your travel needs, a ride in the MRT is something that lets you feel the pulse of the city and experience the breath-taking views of Singapore’s major landmarks. MRT stations are also known for their remarkable architecture and art installations. The fact that ticketing is done via contactless stored value smartcards, known as the EZ-Link and NETS FlashPay cards, also makes commuting in MRT quite convenient for students, professionals and other regular commuters. Whether it’s hanging out with friends in the evening, grabbing your breakfast in the morning or completing your class assignments during the day, Singapore has a slew of cafes that not only offer lively ambience and mouth-watering snacks and beverages, but also provide free Wifi, making them a go-to place for students and professionals to work and relax. Afterglow on Keong Saik Road, Habitat Coffee on Upper Thomson Road, Group Therapy Cafe on Duxton Road, Club Street Social on Gemmill Lane, and Bridge Cafe on Seah Street – these are some of the Singaporean cafes offering free Wifi. 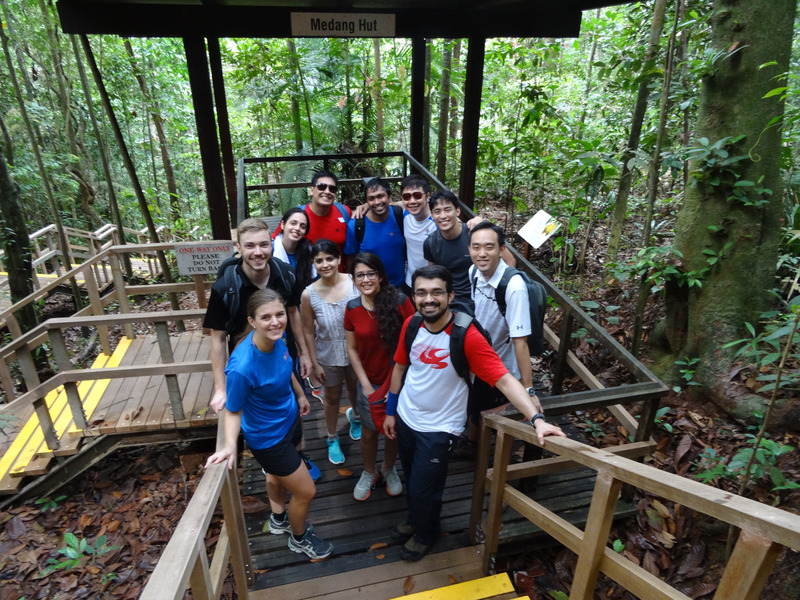 What makes Singapore such an attractive destination for students and young professionals? It’s got to be the city’s scintillating nightlife. 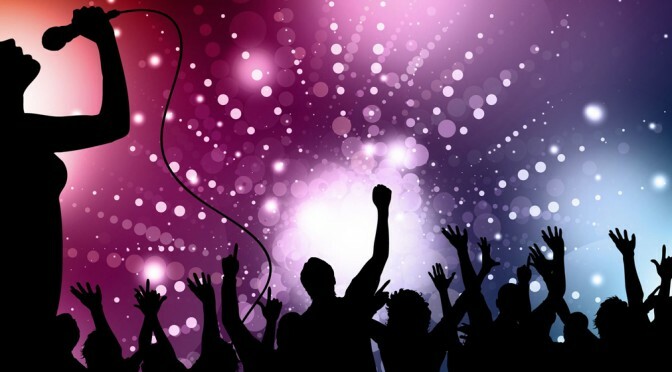 Singapore’s bars, pubs and clubs let you unwind and party hard after a busy day at work. Clarke Quay, Orchard Road, Zouk Club, Chijmes, and Boat Quay – there are endless places to indulge your inner party animal in Singapore. 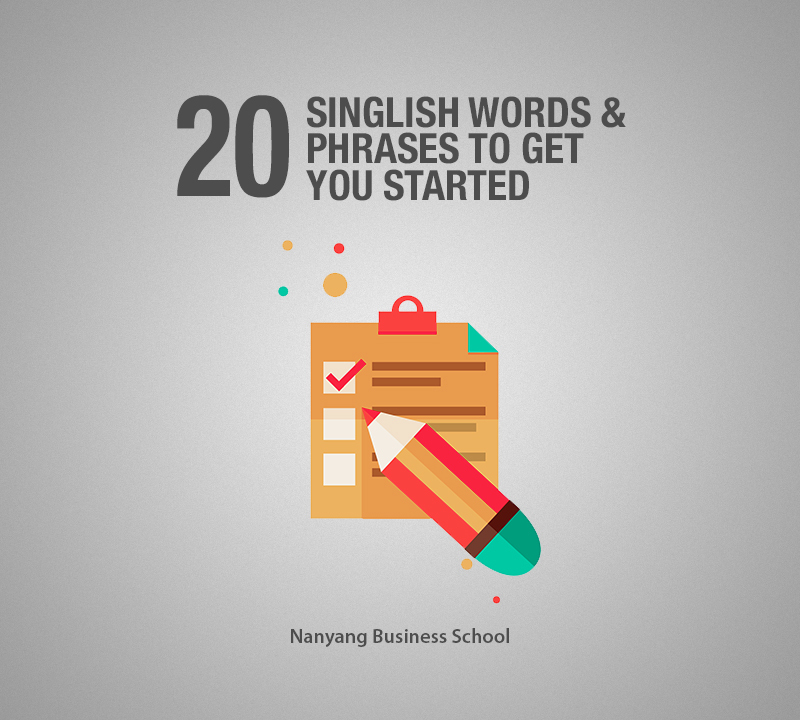 Think of Singapore and the word ‘shopping’ comes to your mind. From shopping malls to outlet stores, international brands to local products, Singapore has something for every kind of shopper, something for every purse size. Apart from the glitzy malls featuring a wide range of international brands on Orchard Road and Marina Bay Sands, there are also the Mustafa Centre, Bugis Junction and Far East Plaza where you can shop till you drop, without making a big dent in your wallet. Don’t skip the neighbourhood malls like Jurong Point, Bishan Junction 8 and West Mall. Singaporeans love to participate in sports and adventure activities. As a sports enthusiast and thrill-seeker, you’ll have myriad places to get your adrenaline fix. Being an island destination, Singapore is well known for its wide range of water sports such sailing, snorkelling, kayaking and water-skiing. 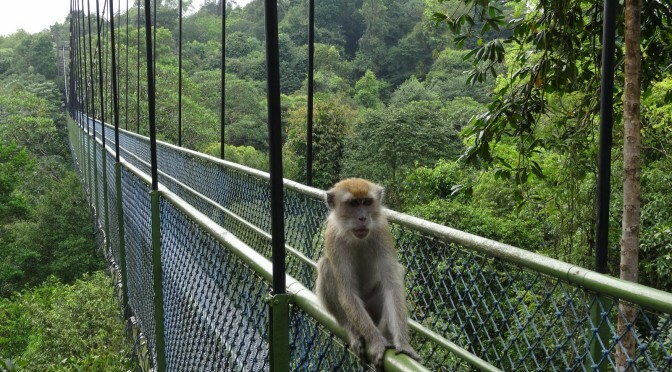 Reverse bungee jumping, indoor skydiving and Formula One racing are a few other unique outdoor experiences worth having in Singapore. These are just a few of the things that you can do to explore Singapore’s vibrant culture. Share this post with your friends and help them make the most of their stay in the Lion City. As I walked alongside the lush foliage across campus and felt the soothing evening breeze of Singapore refreshing me with its gentle blow, I thought to myself, “Where did the first trimester go!” I was headed to the gym, after an intense two week span of mid-terms, to debit my much deserved leisure and credit my study time liability for later (let’s blame that random analogy to the mid-terms)! A dig in the soccer pit with the women’s varsity football team as amazing as it was intense. It brought back so many memories (I love football!) and I loved the fact that the team is open to integrate with passionate football lovers and not just ‘professionals’! With all due love for the affiliation to the team, I couldn’t wait to hit the treadmill and make use of the amazing gymnasium equipment. The Sports and Recreation Center (SRC) offers a football arena, a synthetic track field, tennis courts, indoor as well as outdoor basketball and badminton courts, a refreshing pool and two remarkable gymnasiums. The walk towards the place is refreshing in itself; watching individuals play their hearts out, and realizing how an effortless drag to the SRC and a little bit of sports, can be such a radiantly enhancing experience on campus! I stopped by to grab a Gatorade at the much revered 24 hour convenience store in the area (how cool is our campus)! I got digressed from my walk towards the gym, and got pulled towards the basketball court. I had the opportunity to watch and somehow experience the NTU women’s basketball team in full action, who stood victorious as they literally thrashed the opposing team with their consistent rain of shots made. I almost felt like I bled NTU and was so proud of the series of 3-pointers that shot up OUR score! After much digression, I finally hit the treadmill – upbeat, with an electrifying bhangra, (a popular lively fusion of traditional North Indian Punjabi and Western pop, hip-hop, house and reggae music), playlist on my shuffle, de-stressed, rejuvenated, fulfilled, content, and liberated… Bhangra is always great for an energetic exercise regimen. 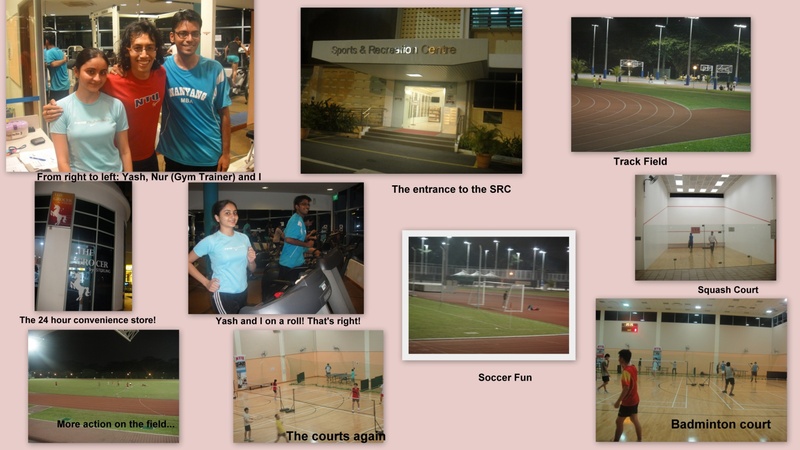 The sports streak in me was alive again and I don’t think the NTU SRC amenities will let it fade. As I ran at a speed of 10.2, I watched my neighbor running at least 15 and thought to myself, ‘This is risky but will definitely yield a high return in terms of calories burnt and less guilt while munching on French fries’ – I’m telling you, it’s the mid-terms! One of the goals was finally met. After several cultural events that showcased interesting facts about diverse cultures that form the Nanyang MBA, from the tasty Korean BBQ, Chinese full-of-lights Mid-Autumn festival, the very rhythmical Indian Bollywood dance, or the traditional songs of ‘German’ Christmas, it was time for the Mexican MBA students, like me to share a little about our culture. The excuse was perfect: September 16th 2012, the 202th anniversary of the Mexican Independence Day, is around the corner. 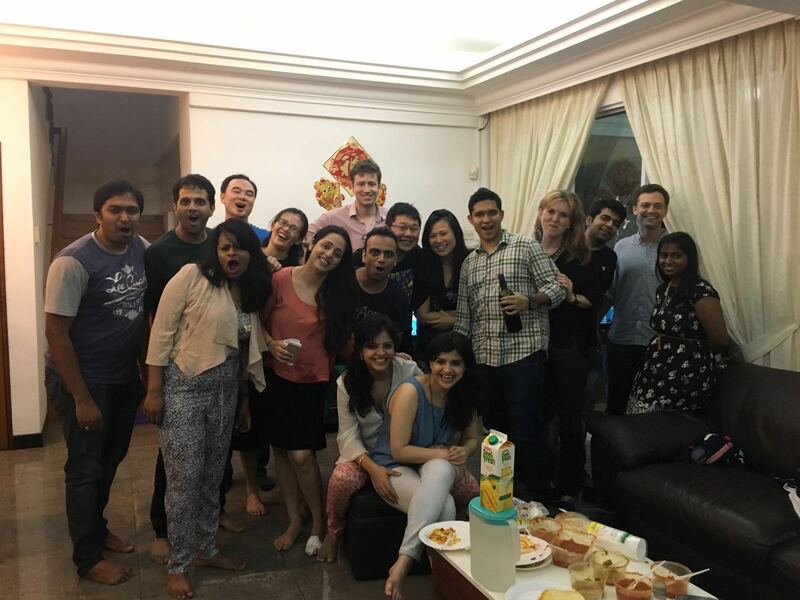 With a short time for preparation but the best efforts, myself and Allan Perez (Mexican, Exchange Student from EGADE MBA), organised a party gathering among senior students (graduating batch) and new cohort and also with the Exchange Students. The reception to this party was very good as the slots were full in only a couple of days. For me and Allan, the celebration was indeed the best opportunity not only to show a little about our culture, but also to thank all the support and kindness we have received from our Singaporean and foreign colleagues over all. 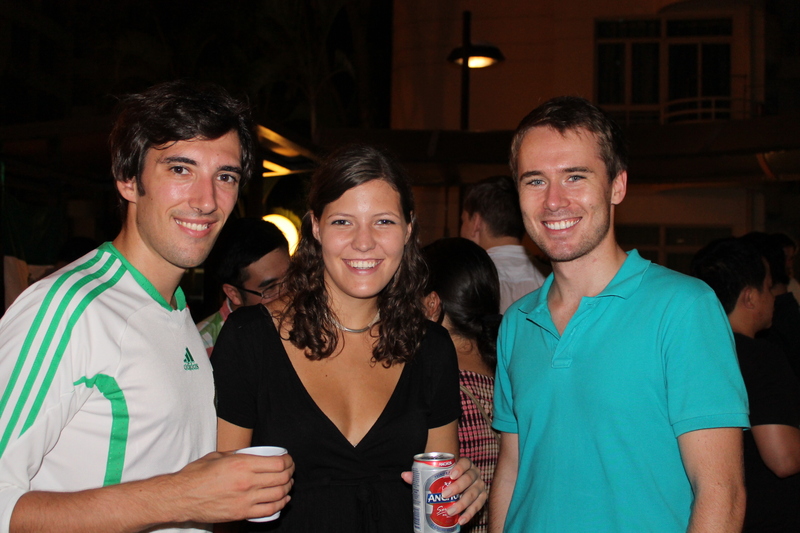 More than 40 of us, a very diverse group, attended the fiesta (or feast in English! 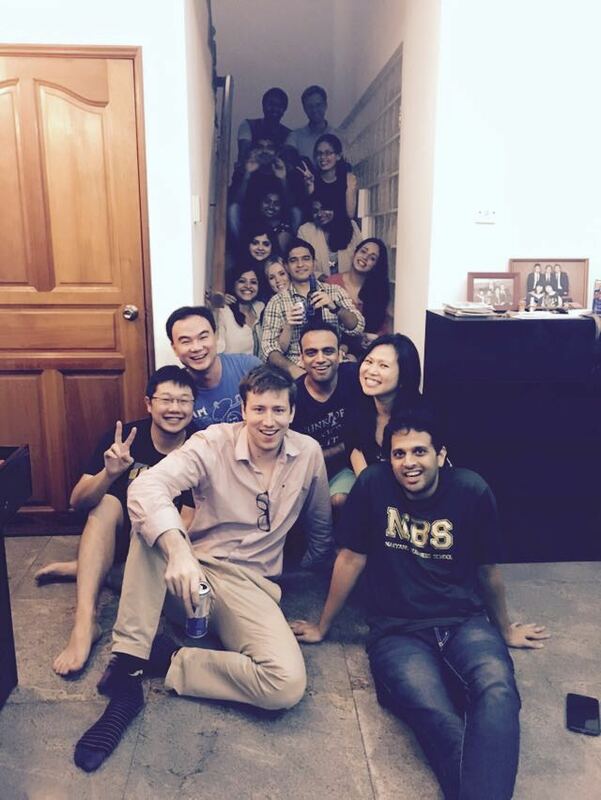 ): Singaporeans, Filipino, French, Chinese, Thai, Japanese, German, American, Spanish, among other nationalities. The first surprise they encountered was the possibility to adopt a Mexican Name. John Rae Philip (Filipino) and Martin Schmidt (Austrian, Nanyang- St. Gallen Double Masters) helped the visitors pick their name based in the translation or adopt one that they liked. They provided a Certificate of Name Adoption to each of the attendees. For example, Hao Wu (Chinese, Nanyang Essec Double Masters) decided to pick Señor Gabriel, which is the name of one of the archangels that he likes. Harutaka Ichinoki (Japanese,) chose Don José as it is easy to remember. 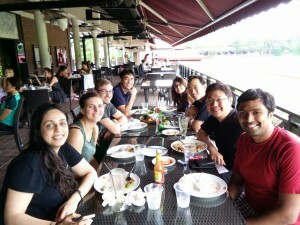 After the name adoption, participants indulged in Mexican food and beverages. For beverages, it was possible to try Michelada, a beer cocktail that includes lemon, salt, Maggie sauce and chili. For food, they tried Carne Asada (roasted beef) with Tortilla, a combination more popularly known as Taco in Mexico, the most popular food. They had the possibility to accompany the food with a large selection of salsas, from non-spicy to very spicy, and of course, including in that selection the famous avocado sauce, Guacamole. 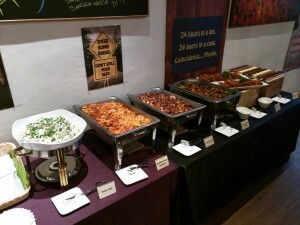 Our Vegetarian peers had also the chance to try dishes that did not include meat. Tortilla chips, quesadillas and chicharron (fried pork skins!) were also part of the celebration. Some of our classmates were decisive and willing to help out- Steven Quimby (American) and Jaewon Park (Korean) provided a key support in the grill section and showed their BBQ expertise. 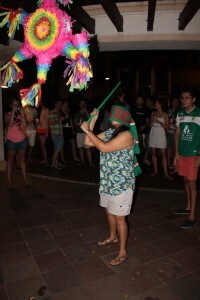 For the event closure, two (2) traditional Piñatas were brought in and those who wish to play this game were blindfolded and asked to hit the Piñata with a stick. 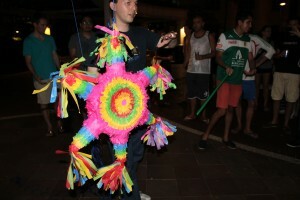 The reward, when the Piñata was hit and broken is an avalanche of assorted candies- we had fun as we competed among ourselves to try to get as much as possible. Vida Zhou (Chinese,) and Aditi Jain (Indian,) were the first ones brave enough to try the Piñata. 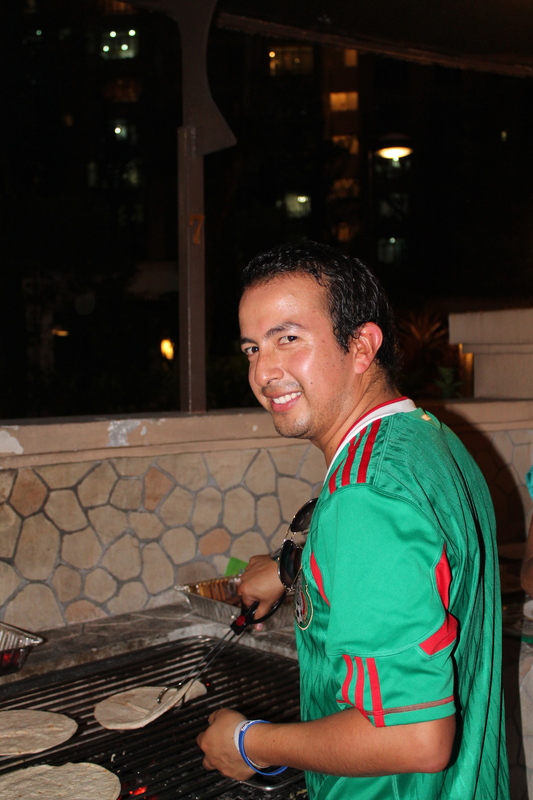 Overall, we have fun during this enjoyable evening- eat, chat and play while celebrating Mexican culture. Viva Mexico!